The service of Tenebrae is celebrated during Holy Week, on Wednesday, Maundy Thursday, Good Friday, or Holy Saturday. 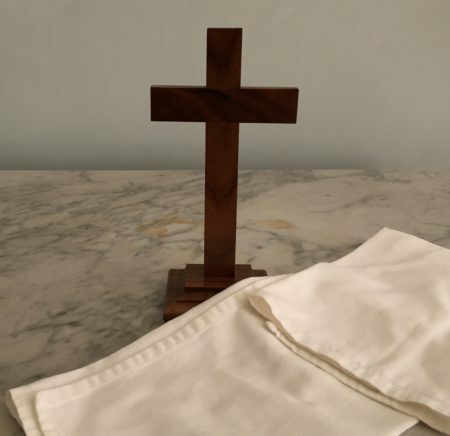 While patterns may differ, the basic components are a series of readings on Christ’s passion, along with lit candles that are extinguished, one at a time, following each reading. Readings can be found here. Carolyn C. Brown offers a version of this service that works especially well for children and intergenerational groups. We think that it could also be effective for a school chapel service, or even adapted into a Sunday school lesson. The following is reprinted with permission from Sharing the Easter Faith with Children (Abington: 2006). The structure of Tenebrae is simple. A participant reads a portion of scripture followed by a moment of silence or other response. After each response, a candle is extinguished. By the end of the service, the Passion narrative has been fully presented and the congregation is in darkness, as all the candles have been extinguished. 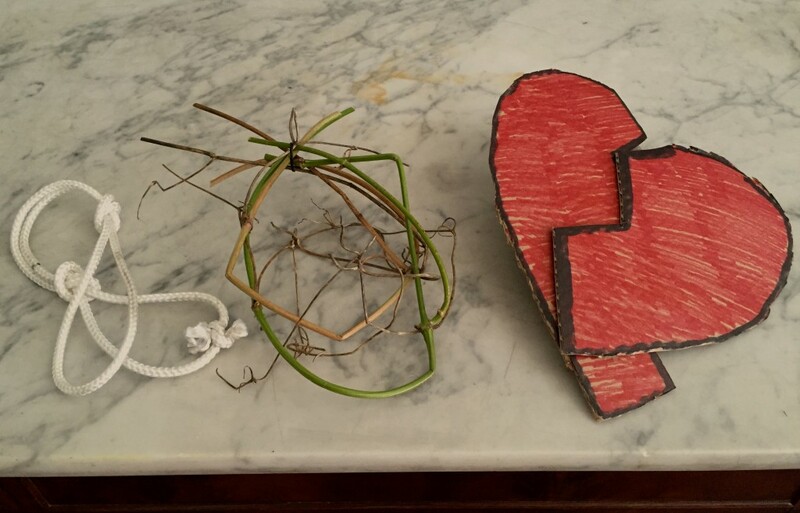 In the adaptation below, Carolyn Brown describes a clever twist on this service to include interaction, props, and visual imagery. “Rather than snuff a candle after each reading, present a prop related to each reading as it is read. Readers are seated at a table at the front of the room as in a Tenebrae service. In front of each reader there is a prop related to that story and a folded black napkin. Readers are seated in story sequence from left to right. As usual, include readers of many different ages. As each reader begins, an older child acolyte picks up the prop for that story, holds it high and solemnly walks a prescribed path among the worshippers so that all can see the prop. “If the reader has not finished when the acolyte gets back to the front of the room, the acolyte stands to one side of the table until the reader finishes. If the reader finishes before the acolyte returns, the acolyte slowly continues the full circuit in silence. Display the picture on a table easel. The rope ends are tied in loops; the acolyte slips the loops over her wrists leaving them hooked over her thumbs so they will not slip all the way down her arms. Use whatever thorny vines grow in your area. The acolyte carries one half of the broken heart in each hand holding the halves close to each other to show the heart shape. The fabric is carried, draped across the acolyte’s arms. Carolyn C. Brown is a Certified Christian Educator in the Presbyterian Church USA (PCUSA). Her book, Sharing the Easter Faith with Children, is published by Abingdon Press. Carolyn blogs the lectionary at Worshiping With Children.